I have become convinced that the book of Job is one of the most significant books of the Bible. As wisdom literature, this is a book designed to get the reader, whether in ancient Israel or today, to think deeply about God, about God’s sovereignty and rule over the world. God designed and rules the world in accord to his wisdom and in relationship with his creation. Since making this discovery I have come to realize that I am far from the first scientist to realize the importance. Tom McLeish leans heavily on Job in his book Wisdom in Faith & Science – and we will dig into it in the next post on the book. As I was preparing for an evening discussion group on science and faith at my local church I came across another example. In this video clip Bill Newsome, professor of neurobiology at Stanford University and, oh yeah, Director of the Stanford Neurosciences Institute, elected to the National Academy of Science, reflects on Job and its influence on his thinking. He reads a paraphrase of Job 38 written by an Australian biologist Charles Birch. Who is this obscuring my designs with his mechanistic models of the universe so that there is no room for either purpose, mind or consciousness. Brace yourself like a fighter, for now it is my turn to ask you questions and yours to inform me. Where were you at the big bang? How is it that out of a universe of pure hydrogen you have come into existence? Did life begin when the first cell came into existence or do elements of life exist in the foundations of the universe? How can you be so sure that all is contrivance? Because there are accidents and chance in the world why do you think there is therefore no room for purpose? Can you not have both? And when you have analyzed life down to its molecular blocks in DNA why do you think you have discovered the secret of life when you have not yet discovered the source of love and all feeling? And why do you want to make of me either an all powerful engineer or an impotent nonentity when I am neither. To all of which we can only reply as Job replied, I have been holding forth on matters I cannot understand, on matters beyond me and my knowledge. I knew you then only by hearsay but now having seen you with my own eyes I retract all that I have said and in dust and ashes I repent. Job and his friends expected that God ruled the world on a retribution principle grounded in prosperity for the righteous and punishment for the wicked. In some sense the rug was pulled from under Job when he suffered because he had done nothing to deserve it. He was confident in this and the reader is allowed no room for doubt. God himself affirms it in the prologue. In essence God brings Job to the realization that he did not have the perspective to understand God’s governance of creation, grounded in his wisdom. Job could not do a better job than Yahweh, the creator of all. We also are in no position to suggest that we know better than God how to run the world, or that we know how it should be done. All we can do is to rest in the assurance that God, in his wisdom, does what is best. What do you see in God’s response to Job in 38-40? How would you paraphrase God’s speech? How should we respond today? You may also comment on Job 38 Updated for Today at Jesus Creed. This entry was posted in Job and tagged Bill Newsome, Charles Birch. Bookmark the permalink. I love the paraphrase of the book of Job. Perhaps also becoz I’m an Aussie myself, but a physicist. One thing that struck me was that the paraphrase seemed to speak to the new-atheists I have encountered (e.g. see Jerry Coyne’s blog) and Richard Dawkins. Their argument is that God is not proved by science, therefore God does not exist. But if God is outside of science, that argument falls on its face. The paraphrase of Job shows clearly where and why God is outside of science and thats the beauty of it for me. Thanks for sharing this. IanDexterPalmer. 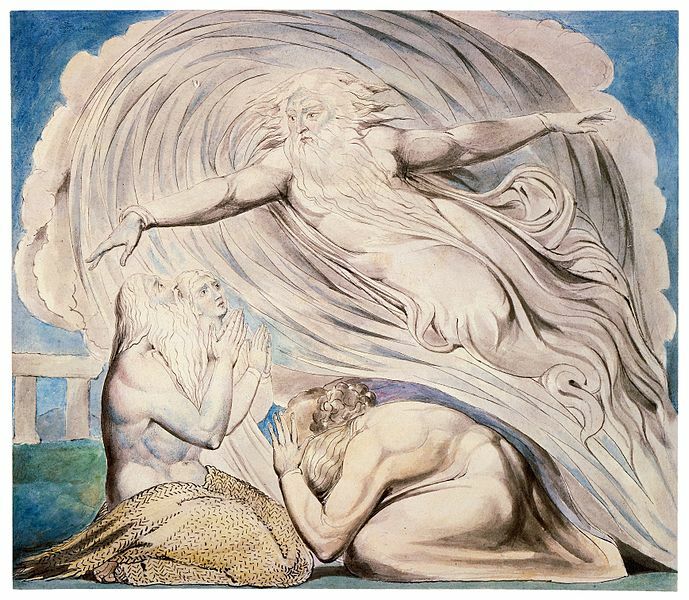 Very interesting article on the science revealed by God in the book of Job. For further reading, also check out a book by Hugh Ross titled HIDDEN TREASURES IN THE BOOK OF JOB. It is really eye-opening!